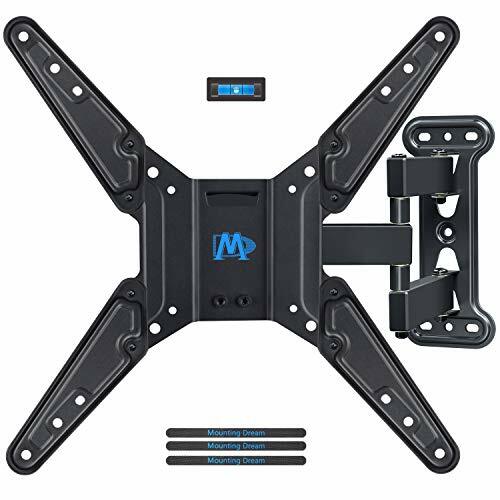 TV wall mount fits for most of 26-55" TVs up to 60 lbs. , with max VESA/mounting holes spacing of 400 x 400mm. Images on left side will help you see if this TV mount perfectly fits your TV in the aspects: VESA, stud location and possible blocked input. Not perfect? 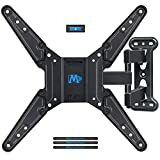 You can check other Mounting Dream TV wall mounts for best options. TV wall bracket makes viewing more comfortable: tilts TV up 5° and down 15° to reduce glare, swivels TV left or right according to your seats position. Pull out to 19" and retract back to 2. 9", making your TV alive to move.